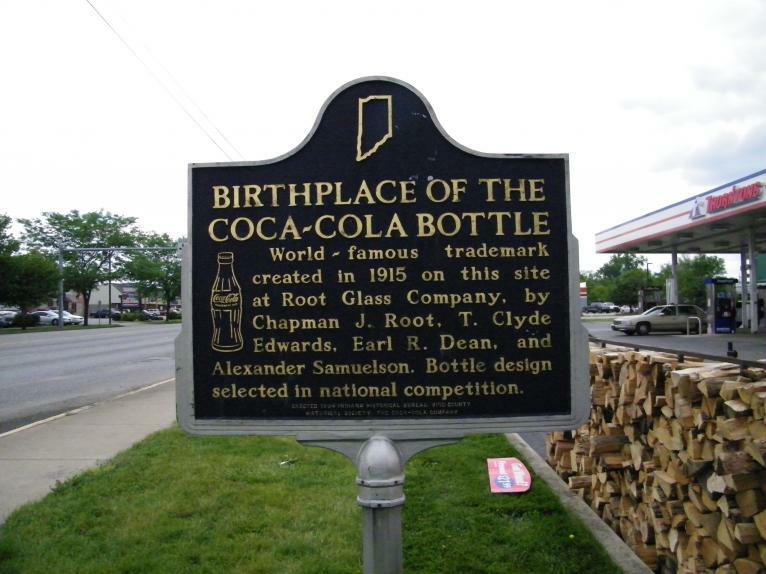 Did you know that Terre Haute is the home of the Coca-Cola bottle? Or that you can wander and meditate along a labyrinth? 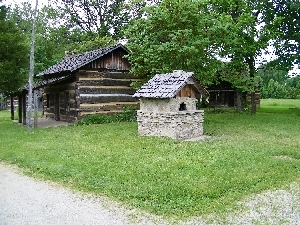 Or visit a Pioneer Village? Scroll down for some ideas of places to visit and things for the family to do. Come face-to-face with a replica of a T-Rex skeleton, forecast the weather in the TV station area, encase yourself in a giant bubble, look for artifacts like an archaeologist, and climb the treehouse to shoot pollen at a giant flower. Pit your speed against a cheetah and an elephant. 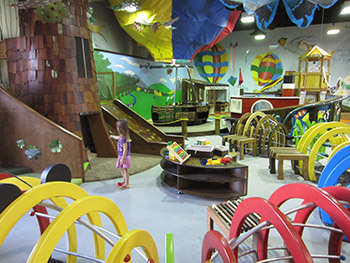 Those are only some of the hands-on activities awaiting the young and young-at-heart in the Terre Haute Children's Museum at Eighth and Wabash in downtown Terre Haute. The three-story museum contains a gift shop and cafe. Hours are 10 a.m. to 6 p.m. Tuesdays and Wednesdays, 10 to 8 p.m. Thursdays, 10 a.m. to 6 p.m. Fridays, 10 a.m. to 5 p.m. Saturdays, and noon to 5 p.m. Sundays. Children age 2 and under are free. 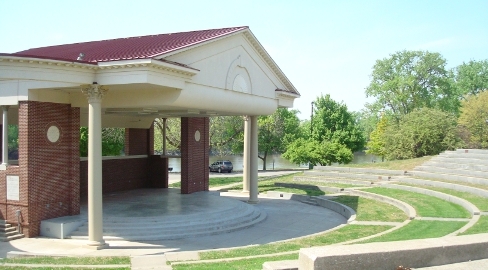 Fowler Park features two lakes, a campground, picnic shelters, playgrounds, trails, and Pioneer Village. It's located 7.2 miles south of I-70 on U.S 41, then .8 miles east on Oregon Church Road. From May through September, on the third weekend of the month. the Village Folk populate the village. Dressed in garb from the 1800s, they chop wood, quilt, bake bread in the outdoor oven, and carry on everyday tasks. Learn about how things were done two centuries ago, and try your hand at some new - or rather old - skills. Admission is free. 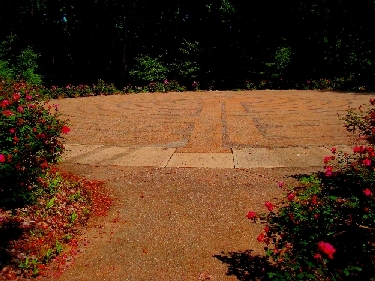 Take time to smell the flowers as you leisurely walk and meditate along the Smith Labyrinth in Hawthorn Park on the east side of Terre Haute. The labyrinth design is based on the one laid in a cathedral in France in 1220. The switchback pathway takes 34 turns on its way to the center. Go east out of Terre Haute on U.S. 40, east of Rose-Hulman Institute of Technology to Hunt Road. Go .6 mile north to Old Maple Avenue and turn left. 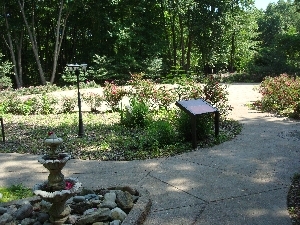 You'll pass the park's Wetland Wildlife Refuge on the way to the park entrance. Admission is free.